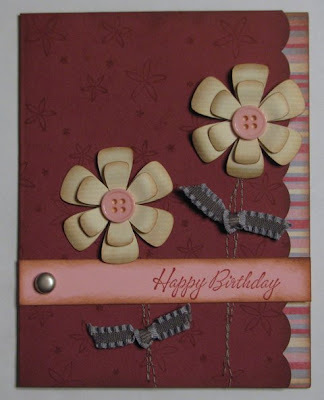 It felt great to get back into my scrapping room to create this card for the sketch challenge this week over at 2sketches4you. 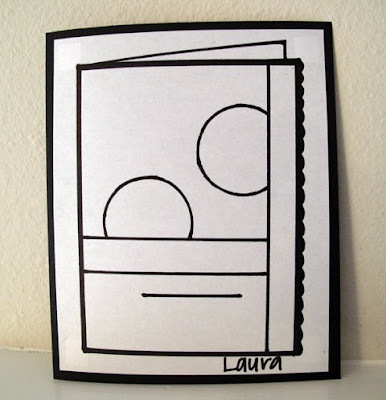 I really missed spending time in my scrapping room and since I hadn't really done much over the last few weeks, I didn't know if my creativity had suffered any, but I am happy to say that I think the card turned out beautifully and I hope you enjoy it. I agree with you Amy...it turned out beautifully. So pretty! 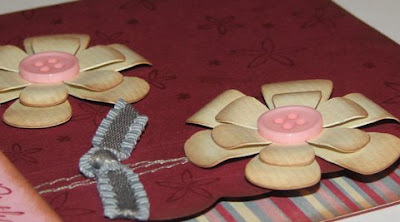 Love your flowers with button centers and stitched stems! This is such a pretty card. I love the flowers wiht all the stitching and the colors are great.